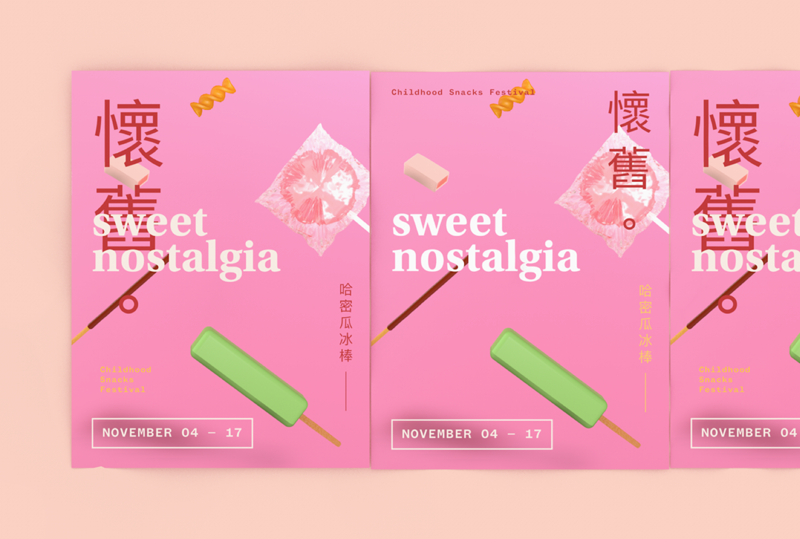 Sweet Nostalgia is a hypothetical food festival for childhood snacks that Taiwanese kids grew up having. 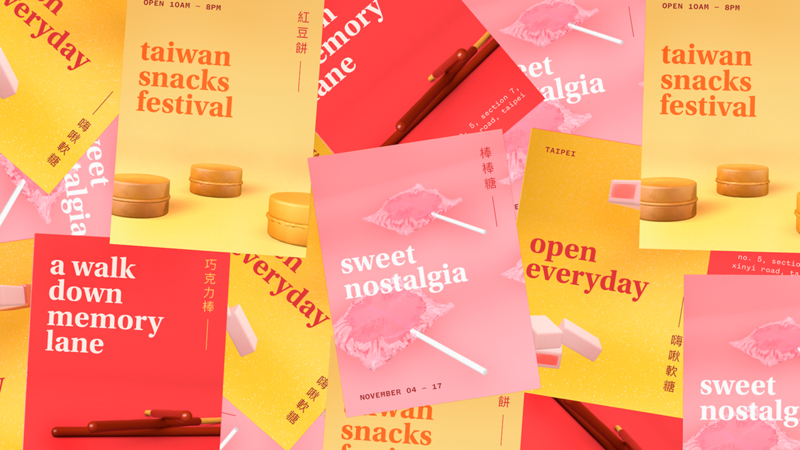 The visuals revolved around 3d image making with Cinema 4d, exploring fun grids with nostalgic colors. Intermixing Chinese typography into the identity complemented the clean grid layout. 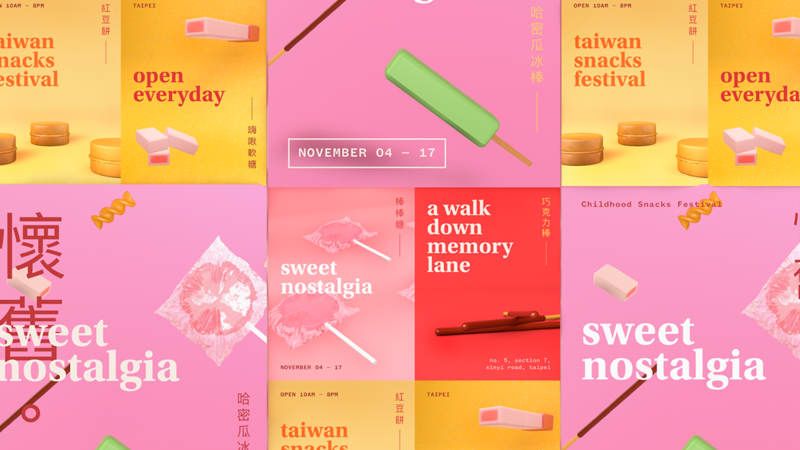 The models of the snacks are identifiable yet kept a toy aesthetics to reminisce the childhood memories, as they are floating within the colored spaces. The branding is then applied to the marketing website, posters and a series of looped Instagram animation. To present the identity as a whole, I brought it back into Cinema 4d to mock it up complimenting the brand’s aesthetics. 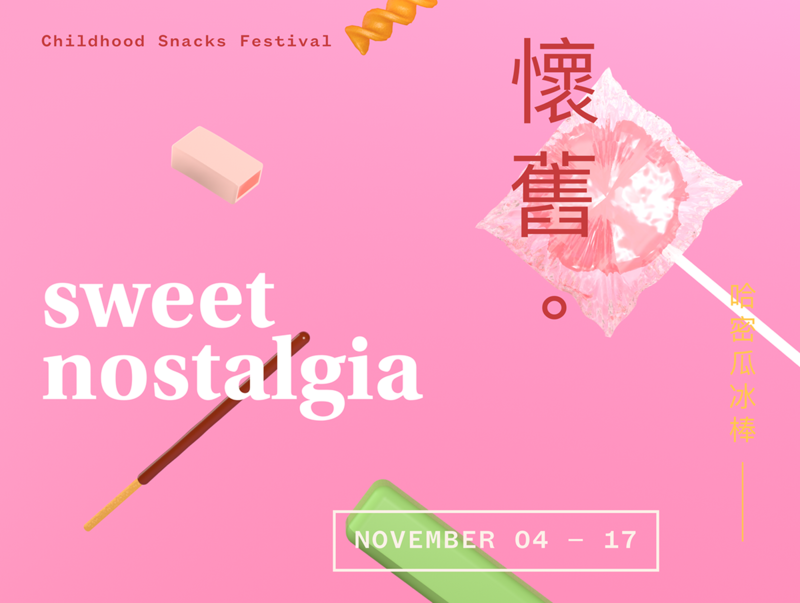 Sweet Nostalgia is a hypothetical food festival for childhood snacks that Taiwanese kids grew up having. 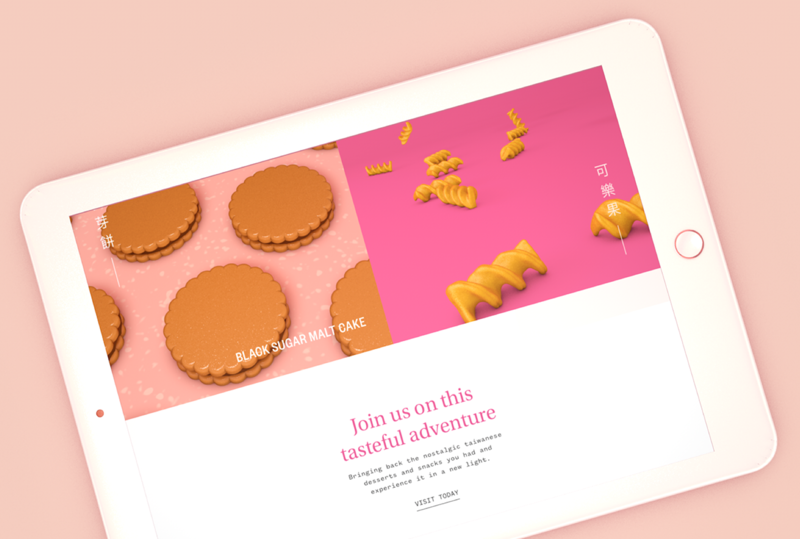 The visuals revolved around 3d image making with Cinema 4d, exploring fun grids with nostalgic colors. Intermixing Chinese typography into the identity complemented the clean grid layout.